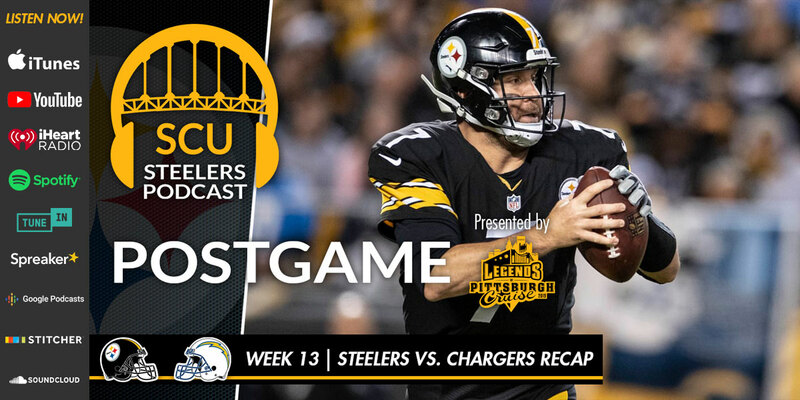 Joe and Brian take their dejected feelings and project them at the Steelers 33-30 loss to the LA Chargers on Sunday Night Football, but not particularly at those two teams, rather, the third team on the gridiron: the referees! The hosts attempted to avoid talking about bad calls which impacted the outcome of the football game, but as you’ll hear, this just wasn’t possible this week. A myriad of other problems plagued the Steelers, who lost at Heinz Field in historic fashion. That and more will be discussed on today’s episode.